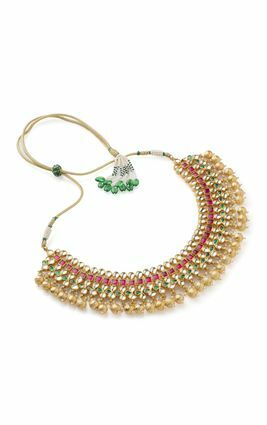 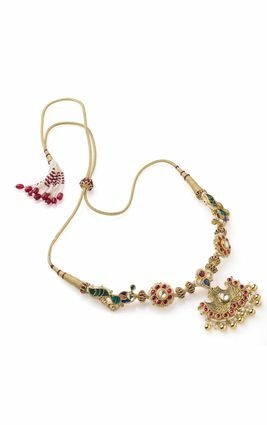 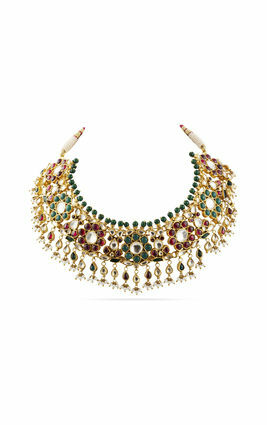 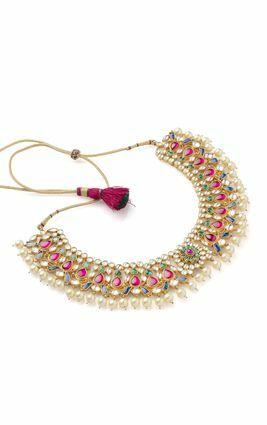 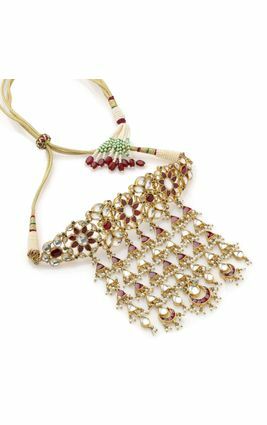 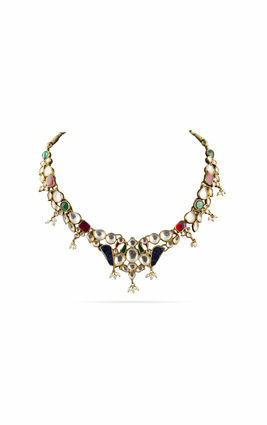 Inspired by peacocks that roamed the lush landscapes of medieval India, here is a beautiful kundan necklace with radiant white, green, an pink stones set in gold polished . 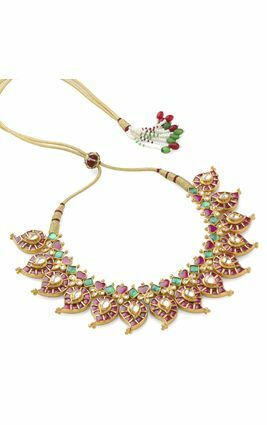 Selectively placed translucent turquoise stones depict royal peacocks, while green onyx drops around the edges add grace to this exquisite necklace. 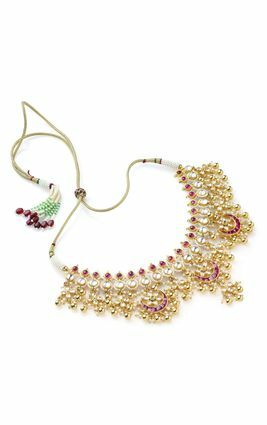 Inspired by peacocks that roamed the lush landscapes of medieval India, here is a beautiful kundan necklace with radiant white, green, an pink stones set in gold polished . 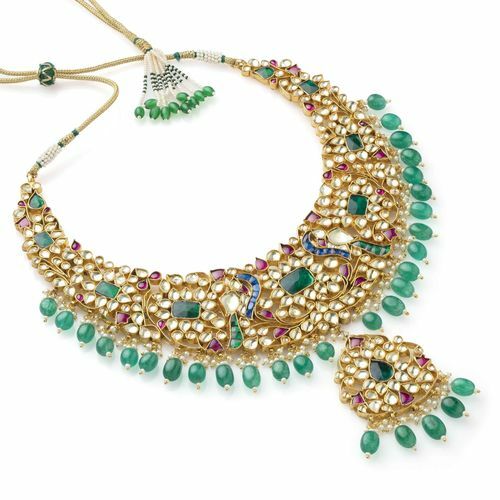 Selectively placed translucent turquoise stones depict royal peacocks, while green onyx drops around the edges add grace to this exquisite necklace.